← Will REDD help save our Forests? Plastics are part of most of our daily activities. From the moment we wake up and use our plastic toothbrush, soaps and cosmetics from plastic containers, drink and eat foods also kept or wrapped in plastic, and go to work in front of our plastic computers and sit on our plastic chairs. We then go shopping and use plastic bags to transport stuff contained in plastic, drink from plastic bottles, and use our plastic TV’s and phones. And when we are done we just throw the plastic “away” and buy some more the next day, and the next, for the rest of our lives. But where does plastic come from? The process of making plastic begins with carbon from petroleum, natural gas or coal. Elements can be combined in different ways to achieve a different type of plastic. The final product can range from a hard and shatter proof plastic container to a soft and flexible plastic wrap. Plastics are durable, cheap, light and can be made into almost anything. And it’s these useful properties which make plastics so harmful when they end up in the environment. 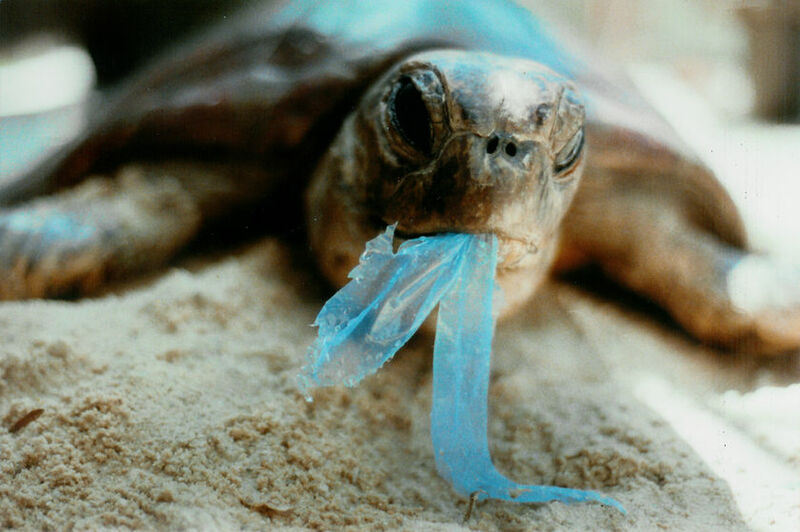 Plastics do not degrade and stay in the environment for ever. 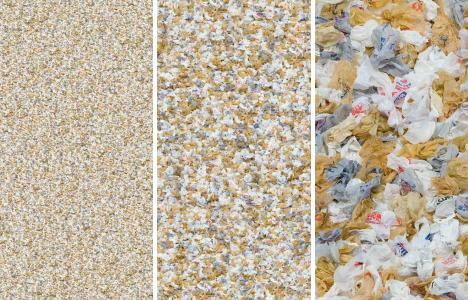 Plastics “photo-degrade”, a process in which it is broken down into smaller and smaller pieces, all of which are still plastic particles, eventually becoming individual molecules of plastic. It makes no sense to make disposable items such as water bottles or plastic bags that we are going to use for only a few minutes out of a material that is going to last forever in the environment. And where does all this plastic end up? Most of the plastic we use ends up in one of the overflowing landfills around the globe, but a lot of it ends up in the oceans. 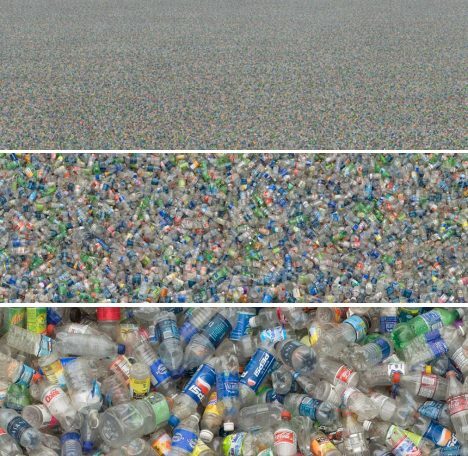 Only a small fraction gets recycled. Our oceans are becoming plastic dumps and marine life is taking a big toll. 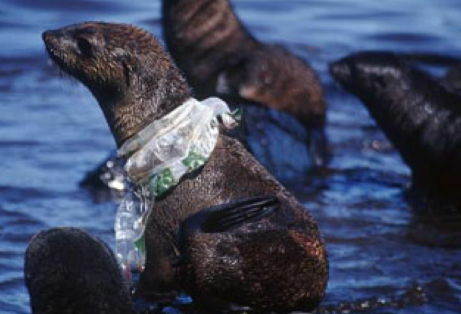 Hundreds of thousands of sea turtles, sea birds, seals, whales and other marine mammals die every year from eating discarded plastic bags or plastic pieces mistaken for food. Plastics are found even in the most remote parts of the ocean. There are areas in the ocean where plastic accumulates more than in other places due to the ocean currents. One of the most studied is the “Great Pacific Garbage Patch”. The Great Pacific Garbage Patch is an area of the Pacific Ocean created by the currents of the North Pacific Gyre. 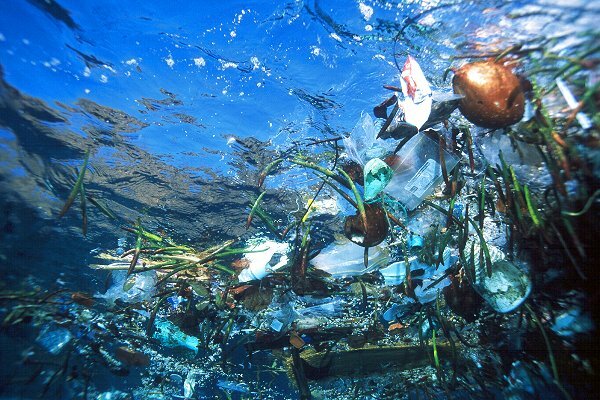 It’s a plastic soup that has concentrations in some areas of plastic 40 times greater than that of plankton. 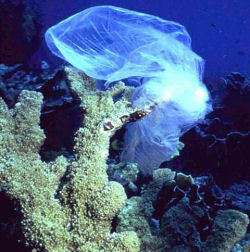 That means there is 40 times more plastic than food for the marine animals to eat. Scientists estimate its size as twice the area Texas to the size of the continental United States. – Stop buying plastic water bottles, bring your own water bottle around and use water filters at home. It’s even better for your health since plastic bottles can leach nasty chemicals into the water. You can get some cool bottles at KleanKanteen or Sigg. 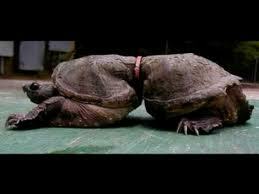 -Stop using Plastic bags. Use reusable bags instead! Whether you are shopping for groceries, clothes or anything else always bring your own bag. You can get really nice reusable bags at any grocery store, but any bag that you have around the house will do. This are also some alternatives: Ecobags, Chicobags, Reuseit, and SnackTaxi for your sandwiches and lunches! -Buy Less Packaged Food: Buy in bulk or get food and goods that come in the least amount of package as possible. -Use soap bars and be mindful of the plastic containers that you buy and if possible avoid them. -Recycle: Get a recycling bin from your local recycling program or go to Earth 911 a website that allows you to put in your zip code and any material you want to recycle. It will give you the phone number of the nearest facility in charge of collecting that material. This entry was posted in Green Living, Green Products, Ocean, Pollution, Sustainability and tagged Ocean Pollution, Overconsumption, Pacific garbage patch, Plastic, Plastic Pollution. Bookmark the permalink. but paper bag is made from trees from jungle, that’s not good for earth too.